Just in case you’re about to put the kettle on and settle down to read this with a nice cuppa tea, don’t bother. This is not a ‘Once Upon A Time’ tale. It’s the woe of a mother who got trapped while doing her maternal duty. My daughter lost a tooth about a fortnight ago when on holiday. For some strange reason the Tooth Fairy forgot to visit. I guess I was too stressed out with other stuff and fell fast asleep as soon as lights went out and because the kids were sharing the hotel room with me I didn’t put on an alarm or a reminder to wake me. I managed to tell her that perhaps the Tooth Fairy came only on your own bedside so I kind of bought time with that. So Princess starts questioning. Why didn’t the Tooth Fairy come? Is it a he or a she? This line of questioning came after having watched The Tooth Fairy at the cinemas. The questioning continued and I thought I saw her giving me a few suspicious glances. She’s smarter than her 9 years but then being her Mum I’m under the false impression I’m smarter as long as I’m paying the bills or something of that sort. Anyway, this afternoon she lost another tooth. WHAT’S UP WITH THAT??!! I hastily made a dental appointment for Saturday and the cleaned tooth was put on the bedside, and after saying her prayers Princess fell asleep. I went to check in on her about an hour later and thought I’d leave the money there and flush the tooth down the loo when Iheard a loud ‘I KNEW IT WAS YOU!! !’ that scared the living daylights out of me! I was, plainly and simply, busted. 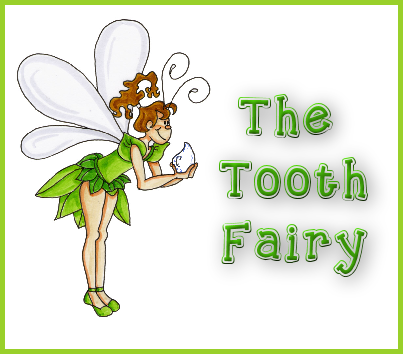 Princess caught me and said she knew the Tooth Fairy was me and she worked this out when on holiday because Tooth Fairies go everywhere in the world like Santa Claus. That, by the way, is yet another story but I’ll save it for another day. So there you go. Not only was I busted today but I also realise my baby is not a baby anymore. She has solemnly promised not to ruin it for her little brother and is now Commander in Chief with Tooth Fairy responsibilities as Mummy’s a total wuss with teeth and the like. I’m still trying to calm my palpitations and urge to pee after she caught me. It’s like I did something wrong!